For the telecommunications industry, 2018 has laid much of the groundwork for 2019. In 2018 we saw the rural connectivity gap close incrementally, public safety professionals become better connected with the expansion of Band 14, and 5G NR set as the new 5G connectivity standard. Here are a few things we believe are on the horizon for 2019. In 2019, new 5G network rollouts will offer faster speeds and better connectivity, yet only a limited amount of the population will have access to the network since it will initially be offered for fixed wireless users. Thus, 5G coverage will be patchy and primarily indoors as certain providers plan and test their technology in certain cities and neighborhoods before expanding outdoor coverage. 2019 will be more about future-proofing devices and networks to ensure they can work concurrently with 5G technology before becoming widely available. It’s predicted that consumers will express some disappointment as coverage will vary with the new rollout. However, coverage will start to fill in over the course of the next 2-3 years, as operators acquire wider channels for 5G and devices mature. According to CCS Insights, we could see 60 million 5G connections by 2020. Many analysts tout the major impact that small cells will have on the densification of 5G networks; however, they won’t exclusively be the solution for all deployments. The sole use of small cells can be costly for building owners as they require multiple small cells for each carrier. By using it in correspondence with a hybrid DAS, costs can be cut thus allowing a cost-effective approach to densifying networks. The increase in wireless developments and IoT device usage will create mass connectivity, particularly in urban cities where 68% of the world’s population is predicted live in by 2050. 2019 will bring dynamic ways in which these cities and its inhabiting citizens function due to the emergence of smart cities. Smart city applications will aid the city in owning the network infrastructure to support the many services that they can deliver. This is becoming the new model for cities across the world as we see Illinois, Mumbai, Chicago, Calgary, and Singapore implement new technologies to build a smart city this upcoming year. The foundation for smart cities utilizes IoT sensors, actuators, and technology to connect services and devices throughout the city, connecting every layer of a city, from the air to the street to the underground. Yet, this foundation cannot be built without the needed wireless connectivity infrastructure. Similar to 5G, smart city expansion will come in increments with DAS, outdoor/indoor repeaters and small cells initially expanding coverage across various venues in cities, such as commercial buildings and healthcare facilities. CBRS is going to be essential for expanding cost-effective connectivity within the enterprise through private LTE networks which include wide area surveillance, remote data transfer, critical communication, and more. Currently, Amazon is leading with other telecom partners to deliver a cloud-based private LTE network solution from CBRS’s foundation. 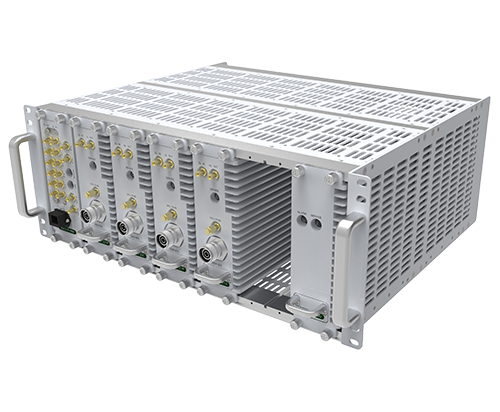 We can foresee this becoming an increasing trend with service providers and enterprises ready to build their own private LTE networks with CBRS enabled systems such as our ADXV DAS. Enterprises, venue owners, and network operators can all deploy private or public networks in this band, alongside each other. We should expect a higher spectrum utilization, new business models, and better support for enterprise use cases in terms of security and management. We recently joined the CBRS alliance and hope to continue the development of the band’s standardization through its OnGo Certification Program. 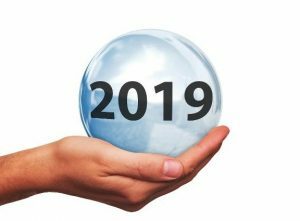 We don’t expect the major trends from 2018 to change much in 2019, but the maturation of these critical advances in wireless technology will be significant in the new year.